"At the U.S. Embassy in Manila, we use all sorts of modern technology to stay in touch, and we want more people to have virtual access to us and our activities. We have a new U.S. Embassy Manila Facebook page, along with our Embassy website, to share stories, news and photos with you." 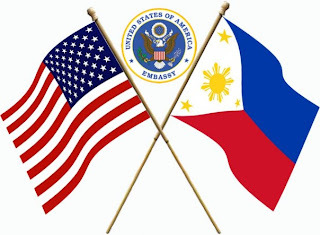 In addition to the ambassador’s blog and the mission website (that has so far evaded the fate of a canned website template), the US Embassy Manila is on Facebook and Twitter. It is also on Flickr although its extensive photo gallery has not been uploaded to it. Ambassador Kenney is on Twitter with over 700 followers (including basketball star, Chris Tiu). That’s how you know she had “dinner with embassy pals and manny pacquiao” or that she watched the Smart Gilas versus Ginebra game. As an aside, the game, that’s the basketball game -- is important. In 1898-1900s, the United States introduced basketball in the Philippines. Today, it is the most popular sport in the country. Similar to Indonesia, I think there is an opportunity for innovative PD engagement in the Philippines that no one has grabbed unto yet. Filipino mobile phone users currently number more than 70 million out of the total population of 97 million. Its penetration rate hit 75 percent in 2008; double that of Indonesia’s. More than radios, more than the Internet, mobile phones have more reach than anything else in this country of over 7,100 islands. The Philippines is also widely called the text-messaging center of the world for a reason; they send one billion text messages a day. According to WaPo, when President Joseph Estrada was forced from office in 2001, he bitterly complained that the popular uprising against him was a "coup de text." (It was widely reported that the protest was coordinated with SMS chain letters). "This is a development for democracy," was how text messaging was described by one protest leader, five years later, organizing against Estrada’s successor. If a “coup de text” was possible, how can making this work for public diplomacy be impossible? "Once we rid ourselves of traditional thinking we can get on with creating the future. *" There is a way to put this to great use – find it! I think this is great PD, but I have a sardonic smile as I say that. Ambassadors may blog, and we give MEPI grants like candy to bloggers, but God forbid we let something like Madam le Consul stay standing.